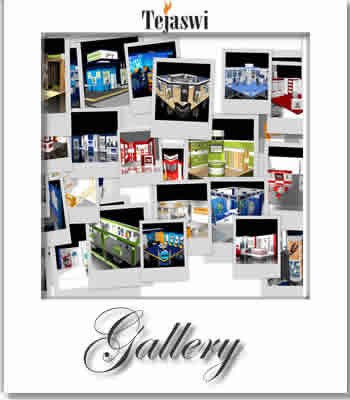 We offer unique solutions in Corporate stall designing and fabrication of exhibition stall for all their brand requirements across India.We offerpackages to clients to carry on their stall requirements at various locations in India considering various factors in terms of, Designing, fabrication, Setup/ dismantling at various exhibition venues, logistics, packing, transportation etc for execution of stalls in highly defined manners. When you have a presence at a trade show or an exhibition, you need the right tools to underline your presence. The interest generated in your stall will depend a lot on what your stall looks like. Setting up a stall is an art. A part of Concept Communications, Trade Exhibitions is a global network of leading design studios. 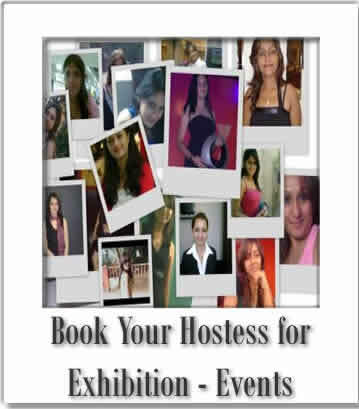 A leading name in exhibition stalls, Tejaswi has been active in India. Developing stalls conforming to a theme is their speciality. We conceptualizes and designs display graphics and provide interior and professionals exterior walk-throughs of shops, showrooms, office interiors, furniture and exhibition stands, Exhibition Stalls, Pavilions, Glow signs Translites, Billboards, Digital banners, Shop signages, Scrollers etc. 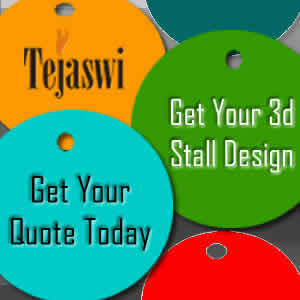 Tejaswi India provide complete installation / dismantle service Exhibition also.